After defeating your Rival in Cerulean City, you can proceed on Route 24 in hopes of finding the talking Pokemon he mentioned. Route 24 connects to none other than Route 25, and it is home to what is known as Nugget Bridge. 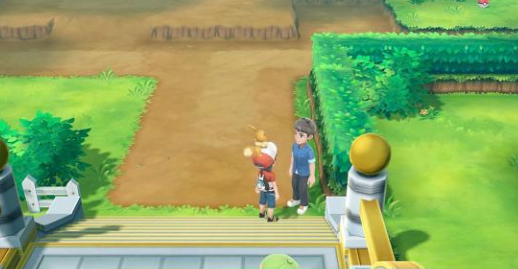 Trainers can be found across Nugget Bridge, ending with one that belongs to Team Rocket who will try to convince you to join their efforts. Loads of Wild Pokemon can also be found on Route 24. After defeating the Elite Four and starting the Master Trainers Challenge, you will find a few Master Trainers on Route 24. In total, there will be two Master Trainers to defeat.